Over the last few weeks we have taken a couple of opportunities to talk about the importance of spending time daily with God by reading the Bible. We shared some stats that included that less than 20% of church attenders read their Bible daily, which you can read more about here. During my message on May 21st, and at our most recent Core Gathering, we said that one of our goals was to put in place a a discipleship strategy that will include several facets. With both of those things in mind, this Sunday, June 4th, we are going to begin a Daily Bible Reading Plan that we are challenging everyone in the church to undertake. 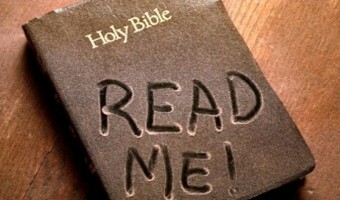 Less than 20% of church attenders read their Bible daily. S - Which scripture or verse jumped out at me? O - What are my observations on that passage? A - What application is the Spirit leading me to make for my life? P - What is my prayer as a result of this passage? We will provide you a reminder of the reading plan for the week, and the S.O.A.P. method, on the back of our message and small group notes on Sunday. As you are following the plan, you may want to jot down your observations and even share them on social media. In this way, and through conversation, we can encourage and uplift one another. We’ll start the Bible reading plan with the Gospel of Luke. After Luke we’ll head to the book of Acts. This will provide two benefits; it will give us Luke’s full account of the life of Jesus and the early church as those are the two books he authored. This will also then give us the opportunity to read the book of Acts as we are preaching through it this summer. My prayer is that this will prove a beneficial endeavor for each of us personally and for the church as a whole beginning this summer.